(2010-2015) Copyright The Bucket List. No reproduction without permission. Powered by Blogger. I am a writer and tour guide in Copenhagen, Denmark. Though I originally come from Colorado, I left the US when I was eighteen and I haven’t lived there since. More permanent stops on my travels have included Switzerland, Wales and Denmark. The arrival of a Danish husband has somewhat cemented my living situation, but I get my travel in smaller doses these days. I like to write fantasy, mostly, though I dabble in soft sci-fi. My short stories are more adult, my novels more YA. I’ve studied history, archaeology, and writing. I like to take my inspiration from historical events, and the more unknown and inspiring the event, the better. I am represented by Kurestin Armada of P.S. Literary. My inspiration is a true story - of a group of women in the USSR who formed the first all-women's combat regiment in modern history. They flew outdated biplanes against the Germans' top-of-the-line air force in WWII, dropping bombs, bricks and railroad ties, delivering supplies to other regiments and trying to keep the Germans from sleeping at night. They were incredible! This scene was veeeery roughly inspired by real events. Tamara wanted them to understand that being in the army means you don't negotiate, and when you don't get what you want, you can't just change it. Also, there's the pesky problem that Linné doesn't make friends very well! So Tamara was looking at a potentially long line of girls coming in to swap out partners, and she decided to cut things short. After all, everyone has to be able to work together. Becoming a Skarov is a magical process, I can tell you that, and it has to do with what happens when Weave magic becomes tangled up. I can't say more in case I get to expound on it later ;) But essentially, when a person is recruited to the Information Unit, they go through intensive training and intensive magical experimentation. It's not a nice transformation. On the other hand, the Information Unit has power, and they have a safer station than most Union citizens. It's not hard to implicate a normal person of treason or suspicious behavior, but once you've jumped through the necessary hoops to become an Information Officer you have a larger measure of security against that. Why did they do it? Dostorov wanted the higher pay and to get away from the front, even if it was just for six months or so. Tannov likes to know things...or he thought he did, before he knew them. I'd probably be a pilot, but mainly because I know nothing of engineering and I can't navigate my way out of a paper bag! Keep learning. There are always ways in which we can improve our craft, and that attitude often brings you into contact with other writers, who are amazing people and will enrich your lives! The climax was definitely the big challenge. It was hard to bring in all the elements that made Revna and Linné dislike each other and weave (ha ha) them together to a satisfying conclusion. Plus, after intensive edits on the book we realized that the final act was no longer pulling its weight - so it had to be rewritten. Honesty, I loved Dostorov. He doesn't get a lot of screen time but he cracks me up. 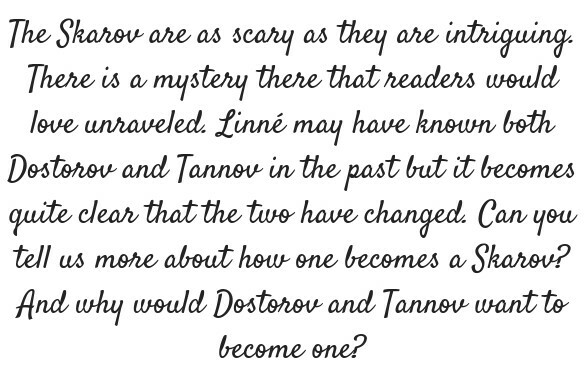 Writing the Skarov was also fun because the dynamic was always shifting under Linné's feet. She never knew where she stood with her former friends. Researching these were so much fun. Check out some Soviet propaganda posters to see the wide range posters I had to pick from! What I loved is that some of them were outright angry, or melancholy, while others from the same period were positive and depicted almost a different world. My favorite Union saying is probably, NIGHT WON'T PREVENT US FROM WORKING, which is very close to an actual propaganda poster from that period, and was the first time I went, 'ah HAH' about using propaganda posters as chapter titles. It also gives an idea of what the Union is about: its citizens will work round the clock, whether they want to or not. I also loved THERE IS ONE TRUE PATH TO VICTORY, which really shows how the Union thinks in extreme black and white terms. I am working on two projects at the moment! I think one is still super secret, but I can tell you about my standalone fantasy! I'm writing a Romanovs meets Twelve Dancing Princesses meets The Shape of Water type fantasy, about a science enthusiast princess who becomes the leader of her country when the rest of her family falls mysteriously ill. Navigating the problems her father left behind would be hard enough if she knew anything about politics; as it is she needs to save her family and find out which of her ministers are trying to help her, which are trying to use her, and which are trying to kill her. A frozen kingdom! Fish people in the kingdom Below! An f/f romance! I'm very excited for it. I almost don't know what to choose from! But one thing that's been on my bucket list for a long time has been to get involved in a program here in Denmark for refugees. I hope I can cross it off soon! 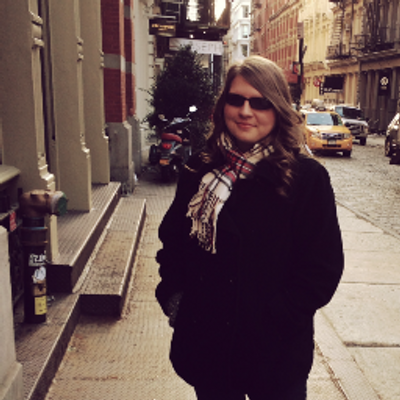 Thank you for joining us on the blog today, Claire! I was blown away by We Rule the Night! It is a riveting narrative filled with complex relationships and shocking action sequences. Seriously, add it to your tbr - it's fantastic! My review will be up tomorrow so stay tuned! 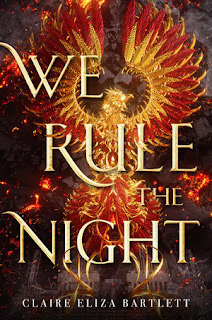 We Rule the Night by Claire Eliza Bartlett releases April 2, 2019. 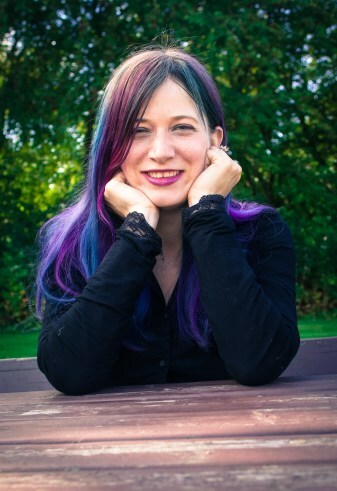 Be sure to check out Claire Bartlett's website! Two girls use forbidden magic to fly and fight–for their country and for themselves–in this riveting debut that’s part Shadow and Bone, part Code Name Verity. Seventeen-year-old Revna is a factory worker, manufacturing war machines for the Union of the North. When she’s caught using illegal magic, she fears being branded a traitor and imprisoned. Meanwhile, on the front lines, Linné defied her father, a Union general, and disguised herself as a boy to join the army. They’re both offered a reprieve from punishment if they use their magic in a special women’s military flight unit and undertake terrifying, deadly missions under cover of darkness. Revna and Linné can hardly stand to be in the same cockpit, but if they can’t fly together, and if they can’t find a way to fly well, the enemy’s superior firepower will destroy them–if they don’t destroy each other first. 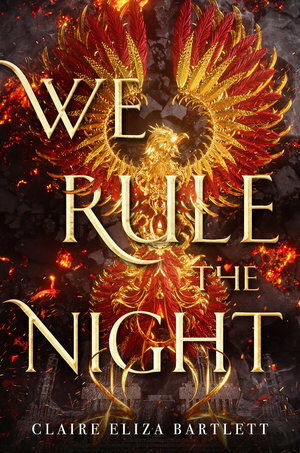 We Rule the Night is a powerful story about sacrifice, complicated friendships, and survival despite impossible odds. I love books, coffee, cute planners, blogging, and everything in between. I don't want you to miss out on the fantastic books out there, which is why I talk about books and write reviews. My reviews may include lame jokes and a side of sass, that make you feel like you are sitting down with an good, old friend for coffee. So grab a seat and let's get chatting.